In the last year or so since graduating and beginning to assist a photographer, I've done a little more travelling (though very definitely on a shoestring) than I've previously had a chance to. The family holidays I enjoyed when I was younger usually tended to be less adventurous and more a chance for my time-starved parents to have a well-deserved chance to unwind whilst my brother and I amused ourselves with swimming, being allowed to eat ice cream in the morning and reading piles of books. In my teenage years, I was desperate to switch off from exams and get a tan; perpetually foiled by my Scottish burn-prone skin. Whilst I always loved going to new places, especially taking in history and nature, it wasn't until I left school that I really started to want to explore more, have real adventures - and not just in places where I could be guaranteed the sunshine which so often eludes England. Whilst I've managed to get myself to a few new places, there's still a lot more of the world to see. This island off the coast of southeast Africa is home to some of the most unusual (and unique) wildlife on the planet, who live in an amazing variety of landscapes from rock canyons to rainforest, paddy fields to tropical beaches. It's perfect photographer fodder: lemurs clamber through the sharp-edged tsingy rock formations; huge rainforests are filled with chameleons and tropical frogs; deep caves house flocks of bats. There's also the beautiful palm tree lined beaches (I could even get a beach day in after exploring) as well as the towering baobab trees with their giant trunks. I'm a keen swimmer and snorkler, so the next step is diving - Madagascar's coastline has a large variety of coral and fish as well as crystal clear waters with great visibility. I've never been anywhere quite so tropical and with such fantastic biodiversity, which is why it's in my top three. The wilderness vastly appeals to me, especially now I've spent the last few years living in the middle of perpetually busy London. Seeing stars without the haze of light pollution, walking through forests without another soul in sight, and driving for hours with a new view every moment - as much as I love exploring the bright lights of new cities, these are novelties unique to wilder places. The route along the Dempster Highway takes you all the way into the Arctic Circle, which is my number one place to get to - my trip to Iceland last year took me near it, but we sadly didn't have time to drive up to Grímsey. The Arctic Circle is among the best places to see the aurora borealis, something we glimpsed in Iceland but missed out on the real show (a solar flare which started just as we left!) The Yukon is the kind of place that you could visit in each season and feel like you're somewhere brand new - I've spent many an hour scrolling through the beautiful images on the Travel Yukon tumblr. In terms of photography, I was particularly inspired by Kate Holstein's mesmerising aerial images of the snowy Kluane National Park taken for Cereal Magazine Volume 8. Mongolia is famous for its sunny - though not necessarily warm! 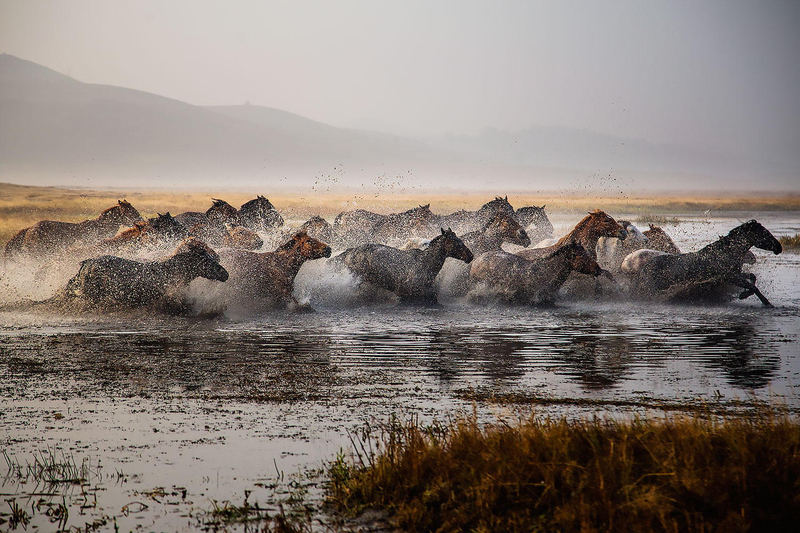 - weather and its horses, particularly as large numbers of its population throughout history have been nomadic, relying on horses to travel between camps. 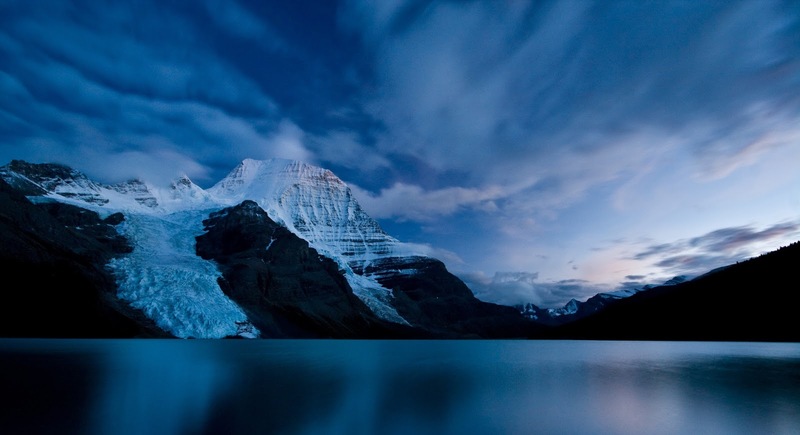 Like the Yukon and Madagascar, it's hugely diverse in terms of landscape: in the south there's the Gobi desert; the north west holds the soaring Altai mountain range; across the east are the grassy steppes which sustain agriculture and the Mongolian gazelle; in the west are huge lakes. 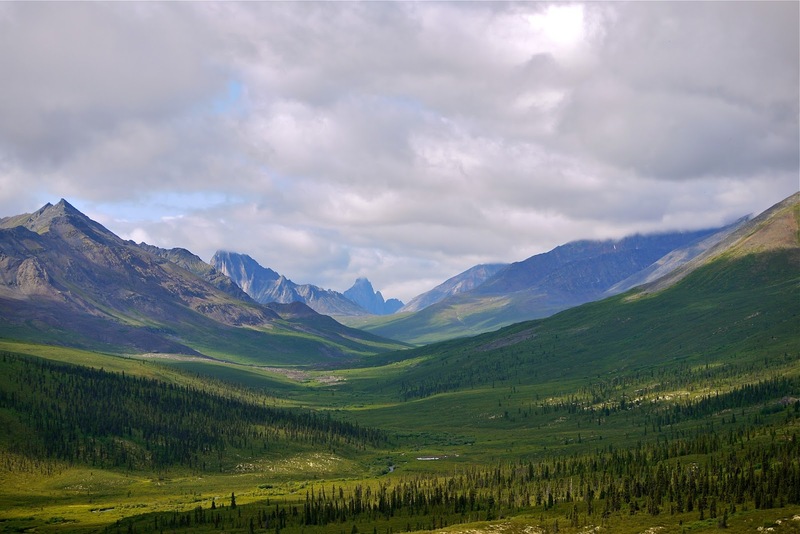 There is even forest, the taiga in which the Dukha people herd reindeer and hunt with eagles. I'd love to see the Ulaan Tsutgalan waterfall, visit the Bogd Khan palace, watch the sunset on the Flaming Cliffs (where dinosaur eggs were first found) and spend time at the Khövsgöl Nuur lake - especially during the winter Ice Festival. 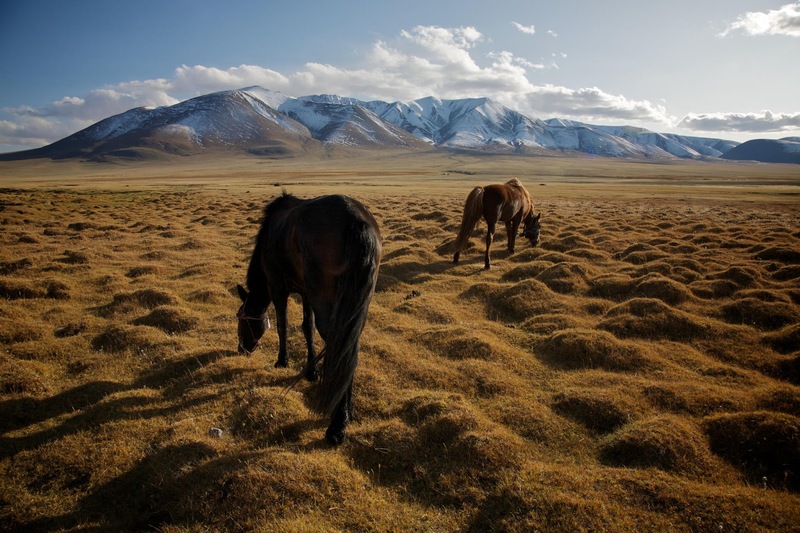 However, the ultimate travel experience here would be a full expedition on horseback, the best kind of freedom there is to explore a place like Mongolia. All images licensed through Creative Commons; click description for link to source.